Eco-Friendly homes don't only save the environment, but they can save you lots of money as well. Baby Boomers are becoming more environmentally savvy and 55+ communities are rushing to accommodate this new demand. Eco-friendly active adult communities across the country are reducing their carbon footprint and increasing the sustainability of natural resources. It’s a great way to save the planet, but it’s also good for bank accounts too. Popular builders like Shea Homes, AV Homes, Lennar Homes, and Del Webb have incorporated energy-efficient systems and appliances into their homes and communities to provide Baby Boomers with a better, greener lifestyle. Active adult communities that offer environmentally friendly features focus on designing homes with green technology like solar panels, Energy Star appliances, dual-pane windows, fresh air ventilation systems, energy-efficient LED lighting, programmable irrigation systems, and water-conserving appliances. If you’re looking for an energy-efficient home within an active adult neighborhood then check out some of these eco-friendly communities. Shea Homes enjoys a reputation as one of the most energy-efficient active adult community developers in the country. Trilogy at Vistancia in Central Arizona has racked up multiple awards since opening in 2004, including “2015 Best 55+ Community of the Year” as well as earning titles for “Best Eco-Friendly Designs” and “Best Floor Plans for 50+.” It’s no surprise this award-winning active adult community features Shea Green Certified homes that boast energy-efficient designs that help reduce energy costs. 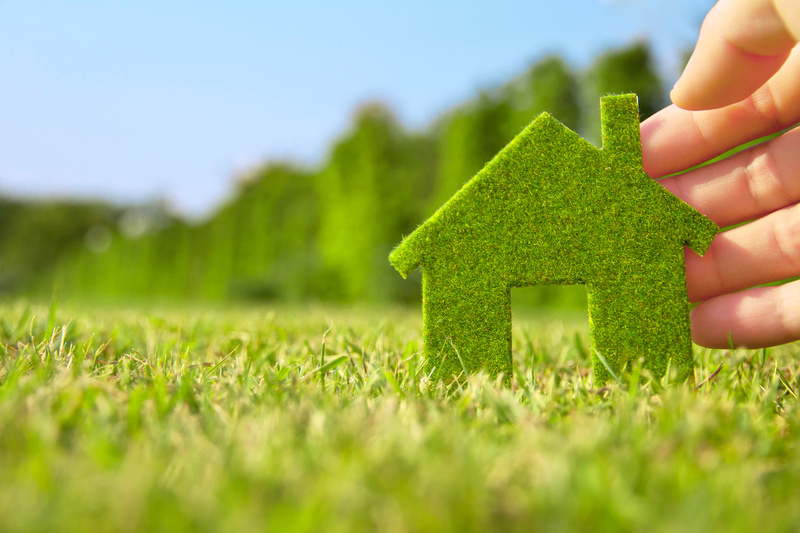 Shea Homes’ eco-friendly construction materials and green building methods utilize some of the latest technology in energy-saving systems that are designed to leave a minimal impact on the environment. These homes feature 50-gallon water heaters, dual pane, low-E vinyl windows, solar-ready technology, Carrier energy-efficient 14 SEER HVAC systems, cathedralized attic insulation, Aqua Pex water piping systems, fresh air ventilation systems, and programmable digital thermostats. Esplanade at Lakewood Ranch is part of the master-planned Lakewood Ranch community, the largest green-certified community in America. Taylor Morrison plans to offer 1,250 single-family homes in this eco-friendly active lifestyle community. All homes include standard features like luxurious master suites, designer kitchens, and quality exteriors. But the best part of these Taylor Morrison homes is the energy-efficient designs. Homes within the community meet the Florida Green Building Coalition Guidelines and include tankless gas water heaters, bronze framed low-E double pane windows and sliding glass doors, R-38 insulation in ceilings, and Lennox high-efficiency air conditioning systems with programmable thermostats. This 55+ neighborhood within the master-planned community of Estrella offers residents homes that follow the “Environments for Living Certified Green” program. AV Homes offers the latest upgrades and energy-saving enhancements for all residences like moisture management, combustion safety, improved thermal systems, fresh air ventilation, energy-efficient lighting and appliances, as well as optional echo solar system panels. Builders in this age-restricted community not only developed a rich active lifestyle with resort-style amenities but also focused on providing quality construction and eco-friendly home designs. All residences in On Top of the World continue to meet or exceed the Energy Star criteria to be high performing, energy-efficient homes. Homeowners living in On Top of the World typically save about 23% to 35% in energy costs. Robson Ranch provides homebuyers with a variety of home designs certified by the Environment For Living (EFL) program, ensuring that each home is durable and energy-efficient through quality construction materials and practices. Under the EFL program, heating and cooling in new homes are guaranteed for the first two years after the home is built. Each new construction home offers an exceptional Home Energy Rating System (HERS) score that measures the energy efficiency of that home - the lower the score the better that home is performing. A one point decrease in the HERS index equals 1% reduction in energy consumption. Although HERS scores may differ between homes, new Robson Ranch homes typically score lower than 73, while other homes score a 130. Del Webb has continuously provided Baby Boomers with beautiful 55+ communities along with quality, low-maintenance homes. Del Webb Orlando offers a variety of energy-efficient home designs that not only include elegant interiors but also eco-friendly construction. Homes typically include vinyl low-E dual pane energy-saving windows, digital programmable thermostats, air filtration sealants applied around all exterior openings, off ridge vent and flow-thru soffit systems for attic ventilation, R-30 ceiling insulation, and Lennox air conditioners and heat pumps. Since opening in 2006, Sun City Festival has provided residents with desirable amenities and quality homes. Del Webb has incorporated eco-friendly technology and methods to build new residences that reduce energy costs and promote conservation. New construction homes typically receive a HERS score of 50 or less thanks to its green features. They include a 1.8-kilowatt roof-integrated solar array to supplement grid energy as well as efficiency-boosting features like CFL lighting, better attic insulation, low-flow fixtures, and tankless water heaters. Lennar Homes' Heritage El Dorado Hills is a luxurious 55+ community in Northern California. Homebuyers will find cutting-edge designs, functional styles, and green technology that help reduce energy costs. Lennar Homes offers standard green features like Energy Star appliances to enhance the quality of the home while decreasing monthly utility bills. These beautiful residences include energy-efficient LED lighting, automatic irrigation systems, and state-of-the-art SunStreet energy solar systems. These single-family homes are also equipped with dual-zone heating and air conditioning, high performance dual pane low-E glass windows, insulated R-13/R-19 exterior walls, tankless water heaters, as well as water-conserving toilets, faucets, and showerheads.